Don’t be afraid to talk to your children. Ask them about their feelings and what scares them about the break-in. Are they afraid it will happen again? Are they worried about getting hurt? Don’t dismiss their fears and listen attentively to their concerns. Allowing your children to vent their worries is key in helping them process their emotions. For children who aren’t as expressive, try using crayons and paper to help them draw out what they are feeling. After talking with your children, tell them your plans to keep them safe. Let them know you’re installing a home security system or adding deadbolts to existing doors. Purchase a key chain with a panic button to alert the security company about a potential break-in. Keep it in a place accessible to your children, and explain when they should use this device. Add a “No Soliciting” sign in your front yard to discourage strangers from approaching your property. These measures may help your children see the actions you are taking to ease their concerns. It is important to resume your regular routine as soon as possible after a break-in. By doing so, children feel a sense of normalcy and stability. During this period, try to keep your adult talk about the break-in to a minimum so you don’t fuel your children’s fears. Purchasing a cellphone for your children is a great way for them to feel more secure. In situations where they feel threatened or scared, a cellphone provides a way for them to contact you. You don’t need to invest in the latest and greatest, but a pre-owned phone like the iPhone 5 still gives them the functionality they need. Teach your children about dialing 9-1-1 during emergency situations, and find out the local non-emergency line to call for non-threatening occurrences. Are they consistently having trouble sleeping at night? Is there a change in eating habits? Do you see an increase in nightmares? Do they appear more anxious and agitated? If you answer yes to these questions, don’t be afraid to ask for help. Sometimes it takes more effort to heal and bring back peace of mind. 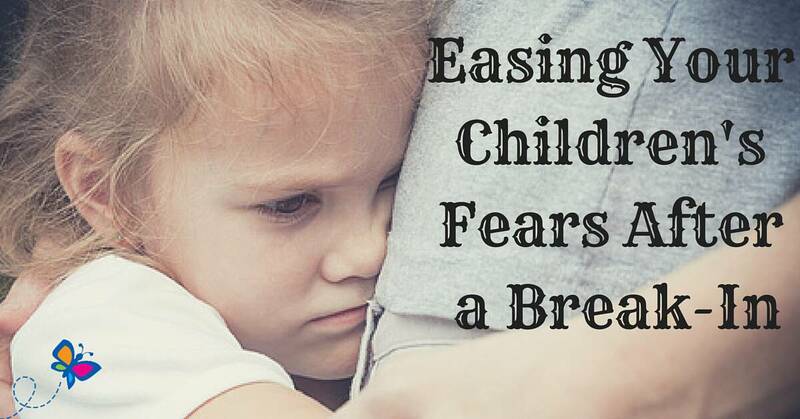 Restoring your children’s well-being and reducing anxiety is important after a home break-in. The good news is you have many tools to help ease your children’s fears.